The Lower Modernisms – 021. 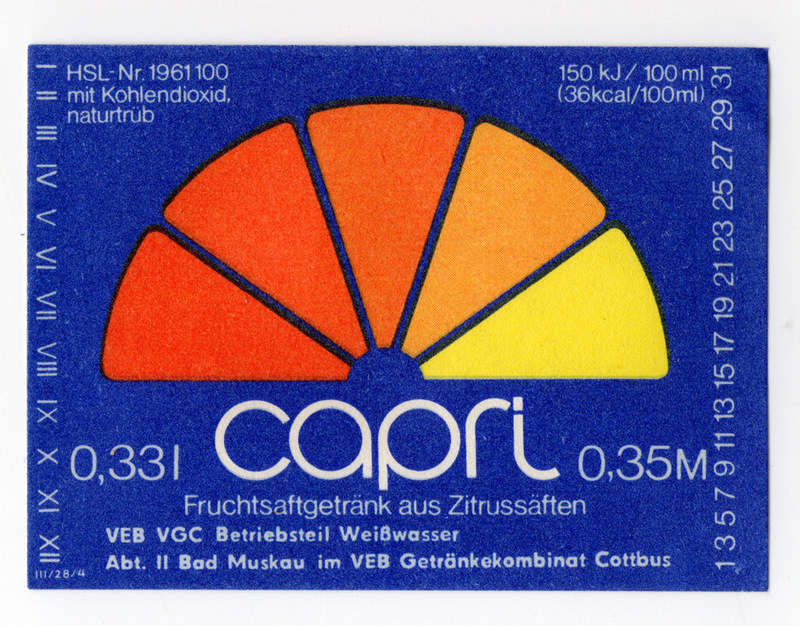 East German Beverage Labels. July 10, 2011 by James Black. Last year while on vacation in Berlin, Carmen and I stopped in at Intershop 2000, a store selling vintage goods from East Germany. 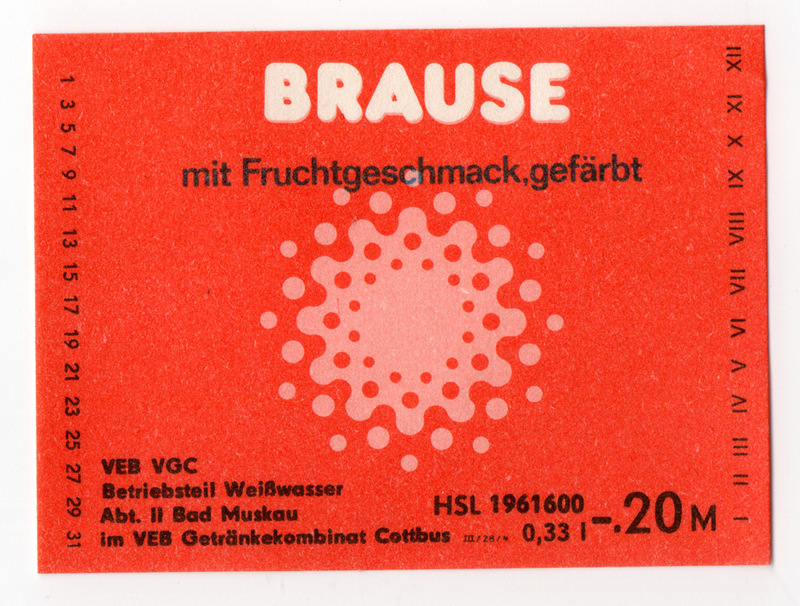 The store is named after the East German Intershops, a chain of state-run stores within East Germany that sold goods from the West to those who had access to foreign currency. 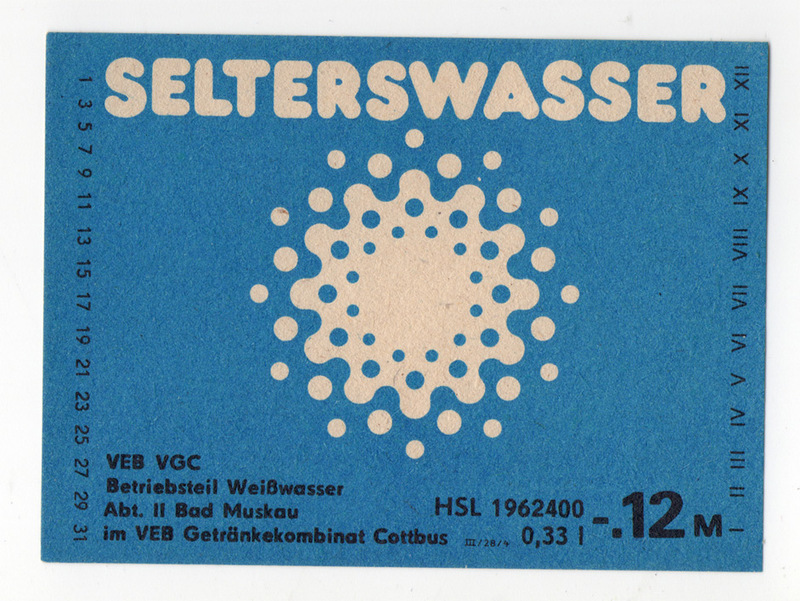 These Intershops were apparently an effort by the government to capture useful foreign currencies as well as a means by which the state could itself profit from the black market inevitably created by scarcity and controls on importation of Western goods. 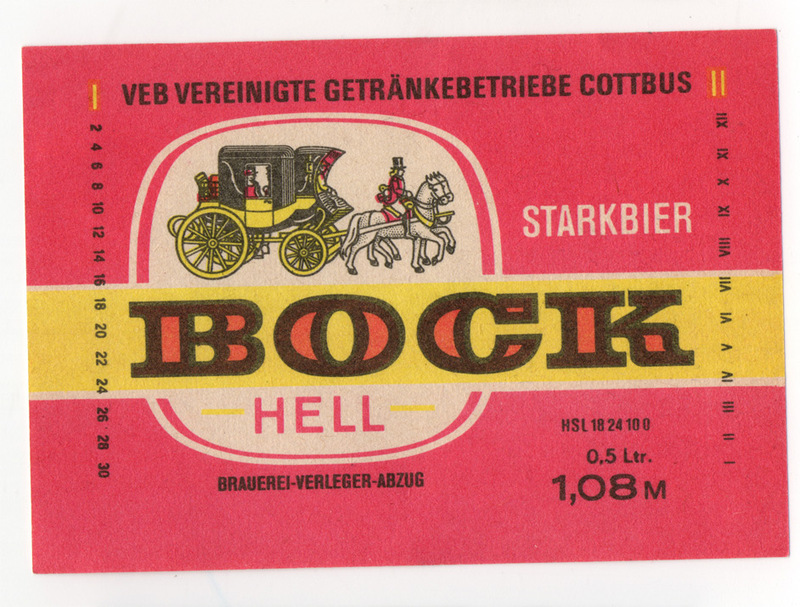 Today’s Intershop 2000 does the reverse, selling trinkets from the romantically socialistic near past to tourists, hipsters and those with nostalgia for a lost way of life. 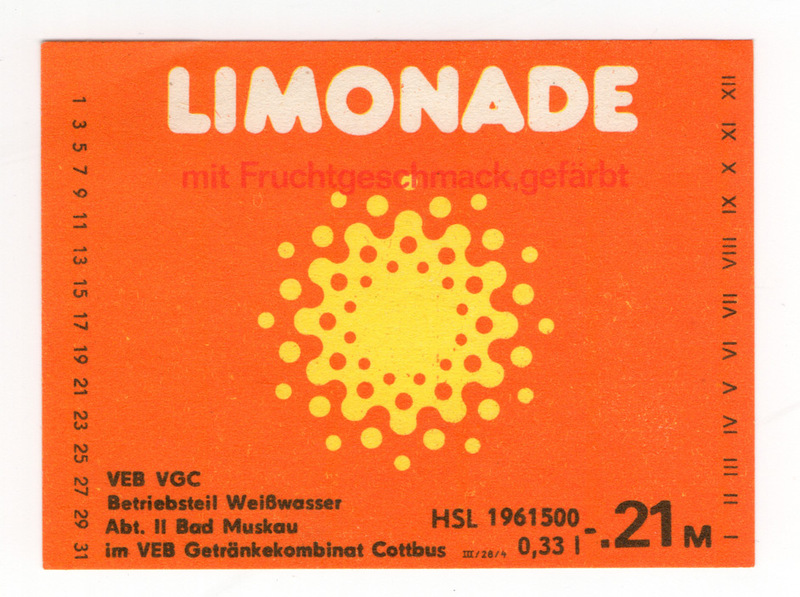 In German they have coined a new word for this brand of nostalgia for the East: Ostalgie. 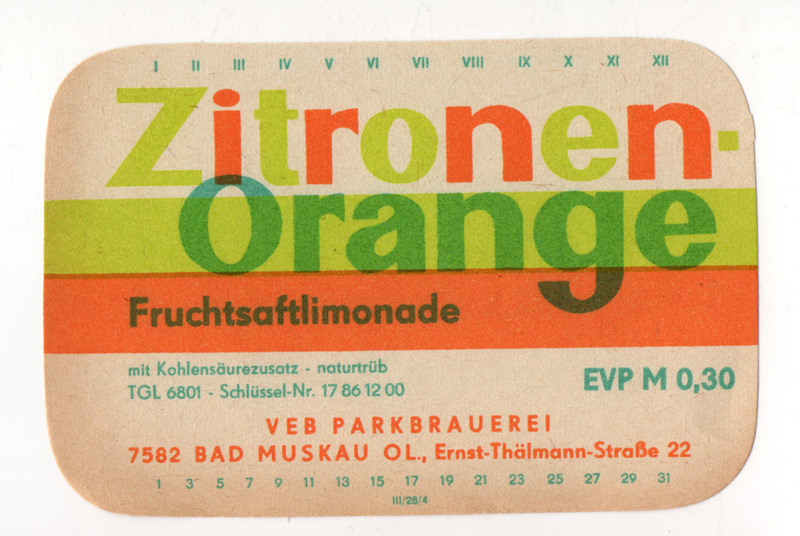 We brought home a collection of surplus vintage East German beverage labels. 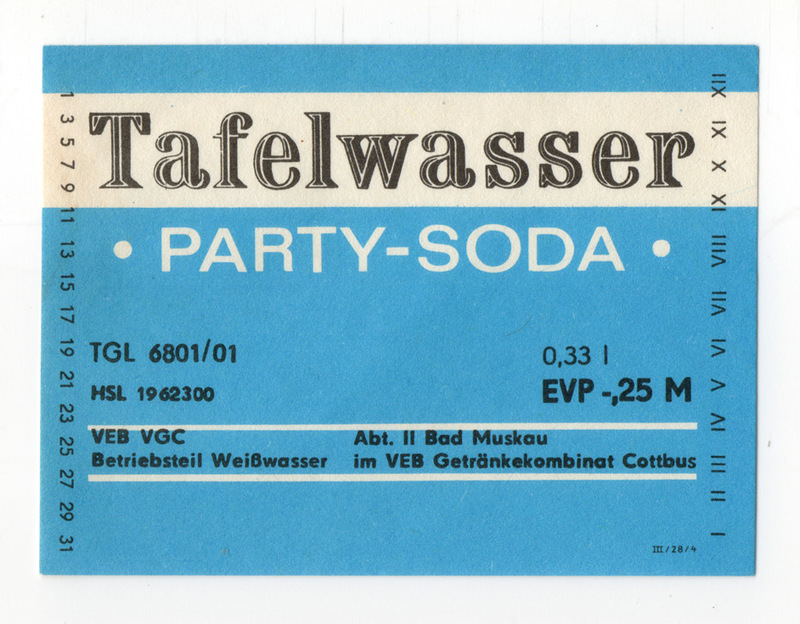 The appeal of these labels extends beyond Ostalgie, as they possess a winning style with a colorful, modern simplicity and an earnest directness; but the politics heightens their interest. 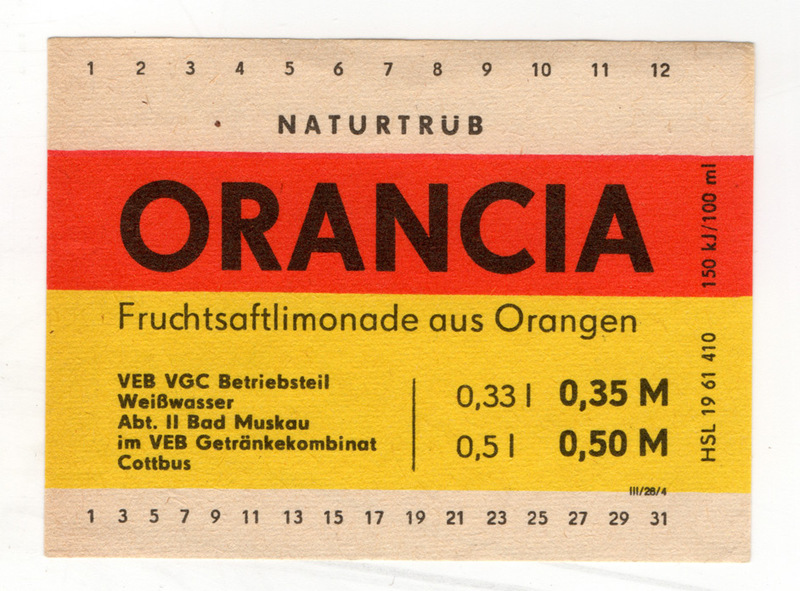 These products came from East Germany, where theoretically the state had no reason to want to boost the sales of any particular products through branding and colorful labels; but competition was nonetheless being waged at even higher stakes, because what was really being marketed was the viability of the socialist system itself. 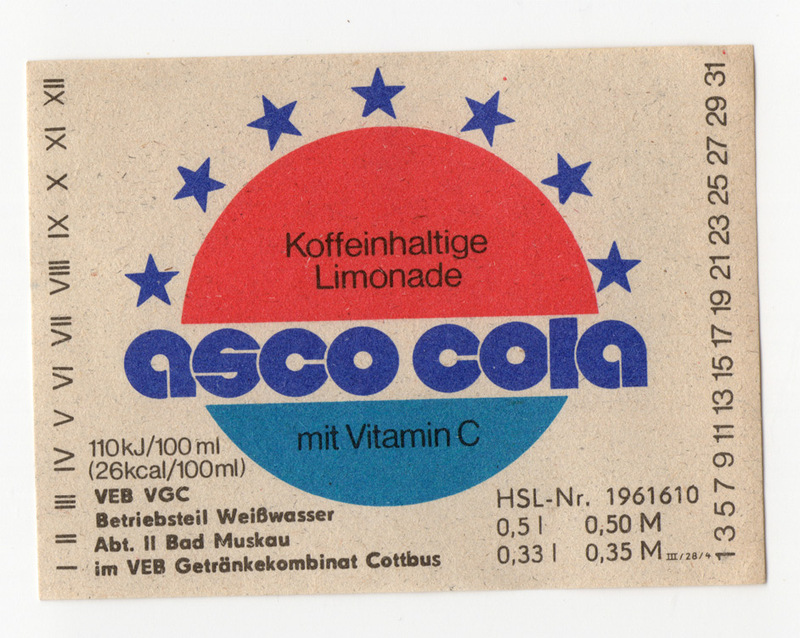 East German citizens with access to West German television broadcasts knew what the competition looked like, and no doubt the government-run Asco Cola did not seem as hip as the Pepsi-Cola that inspired its label. 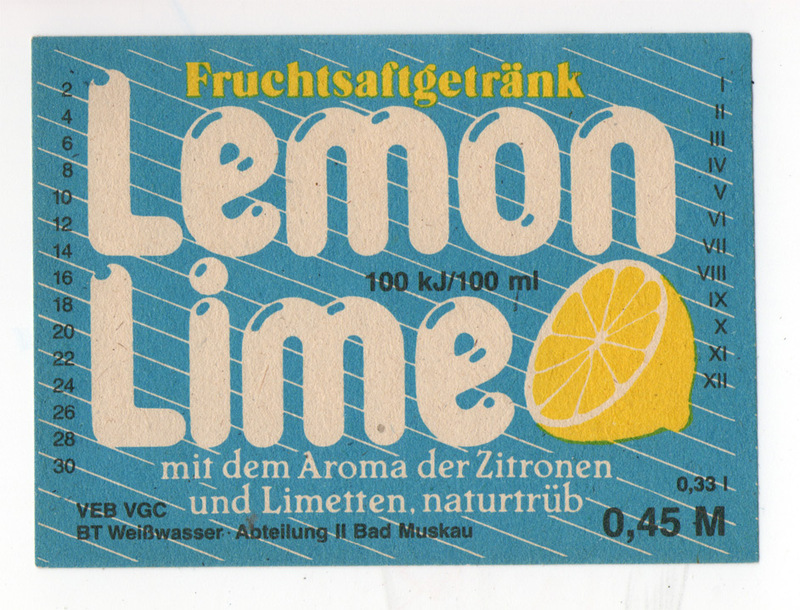 Thanks go to Garrett Belmont for scanning these labels.